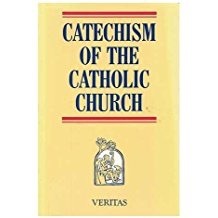 The Catechism of the Catholic Church is the official compendium of doctrine, published in the 1990s. Part 1 is concerned with the Creeds of the Church; Part 2 deals with our sacramental encounters with God; Part 3 presents how a Catholic should live out his or her faith in daily life; Part 4 is about prayer, including a meditation on the Our Father. The full Catechism is available free online here, and as a printed book here. There is a short(er) question and answer summary called the Compendium of the Catechism of the Catholic Church. also available free online here, and as a printed book here. Finally, there is a version aimed at young people (but which, being more accessible, many people of all ages will find useful) called YouCat. It has a dedicated website here (you need to be a teenager just to work out how it works), is available as an eBook here, and a printed book here. Strange Notions — Investigates questions of reason, science and faith. ABCs of Faith — a lighthearted trot through Catholic teachings. Website could do with a redesign, though. Scripture Catholic — mostly a set of dialogues with Evangelicals on various topics of mutual interest. Fish Eaters, written from a traditional perspective, has lots of useful resources and links. Natural Family Planning; We have resources within our own parish. The Catholic Encyclopedia was compiled in 1912, but is online, and still useful.